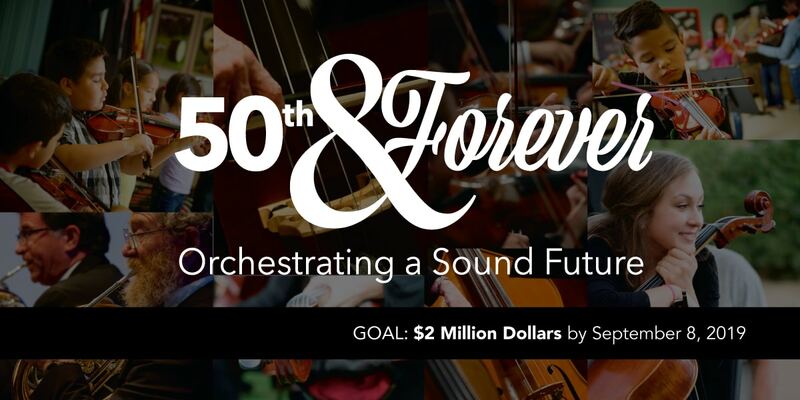 Your generous gift to the 50th & Forever campaign will allow the Reno Phil to orchestrate a sound future for generations in northern Nevada. The Reno Phil will raise $2 million by September 2019 to bring our endowment fund to $5 million and complete the funding of our 50th Anniversary celebration. Thank you for making a bold investment in the future of the Reno Phil, your generous donation will allow us to continue for years to come. The Reno Philharmonic Association is a federally registered 501(c)(3) non-profit organization in Nevada, #94-2762076. Your contribution may be tax-deductible to the extent allowed by federal law.